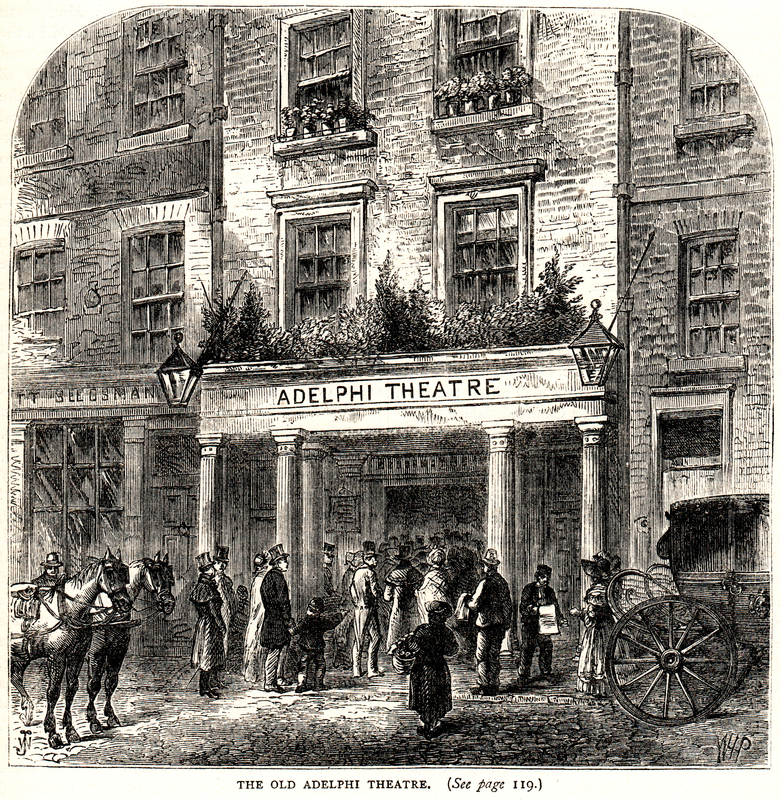 Adelphi Theatre Image, published c1880 but showing the theatre as it was c1826. It appears to be another version of the one above but drawn near curtain time. Two sets of window boxes, filed with flower pots, decorate the third floor windows.